When I was little, my dad told me that every grain of rice I left on my plate would be a spot on my face when I was older. As a result, I have developed an obsessive aversion to throwing away food. 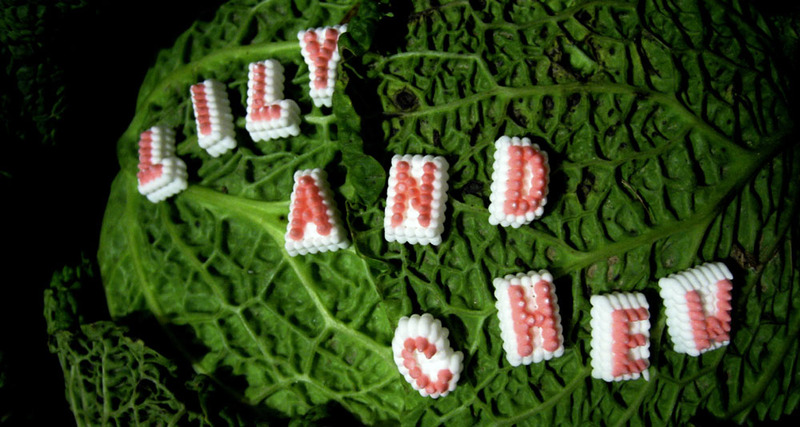 Very little went to waste in our household, any leftovers would be used for dinner the next day, and our fridge was always full of little dishes covered in cling film...and if you take a peek in my fridge today, it's still the same. I'm now not embarrassed to admit this because this week experts have been saying that our wastage is now pushing up food prices in the developing world. So now I'm not just a tightarse just a concerned citizen of the earth. - Use your freezer. If you don't think you're going to get around to eating that bag of carrots, steam or boil them and freeze them for another day. Same goes with fruit - berries can be frozen straight and cooked or used in a smoothie for another day. Other fruit can pipped or cored then stewed to be eaten with ice cream or used in a crumble. Or if you are super organinsed, buy up big and spend a couple of hours cooking up a big batch of soup, curry or pasta sauce to be frozen. - Make stock. Tired looking veg and scraps can be thrown into a pot and boiled up for a lovely stock which can make a risotto sing. Don't forget to throw in the rind from Parmesan cheese into the stock pot too. This risotto takes twice as long as normal risotto, so it's one you might want to attempt when you aren't in a starving rush. It is definitely worth the wait though, the earthy beetroot pairs very nicely with the graininess and bouncey texture of the barley - and the colour is quite spectacular. If barley isn't your thing you can use good old Aborio rice and shorten the cooking time to 20 minutes. Serves 4. 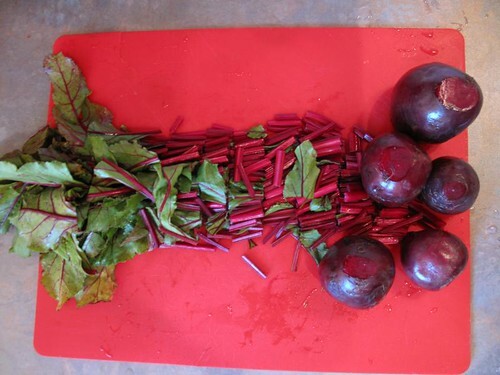 Wash the beetroot thoroughly. Grate the beetroot and chop up the leaves into 4 cm pieces. Heat the olive oil in a medium pan over a medium-low heat. Add the onion and garlic and cook gently, stirring occasionally, for a few minutes, until softened. 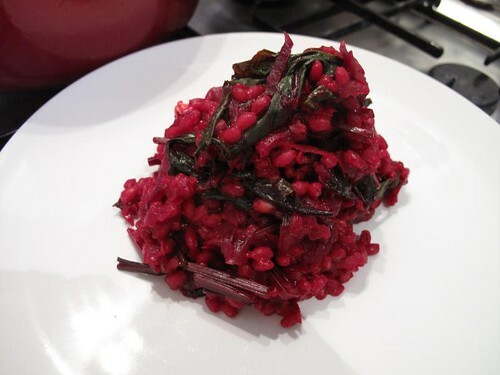 Add the pearl barley and grated beetroot and cook for 1 minute. Add a quarter of the stock to the pan and simmer, stirring every now and then, until all the stock has been absorbed. Barley doesn't need as much TLC as aborio rice so you can do other things and come back to it every now and then. Add another quarter of the stock and continue in this way until all the stock is absorbed – it should take about 40 minutes for the barley to be tender but still al dente. Add the stalky bits and cook for about 5 minutes, then stir in the leaf. Cook for a few minutes until wilted and dark green. If you have it, serve with a sharp crumbly goats cheese or feta sprinkled on top.